Serra’s 77th International Convention will be held from June 19-23, 2019 in Mexico City! 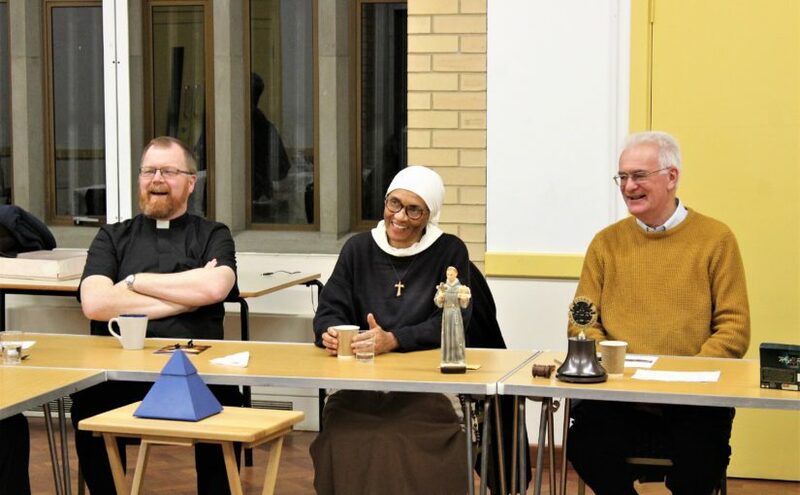 It was a special evening for South Herts Serra Club when Sr. Mary Joachim attended in March. 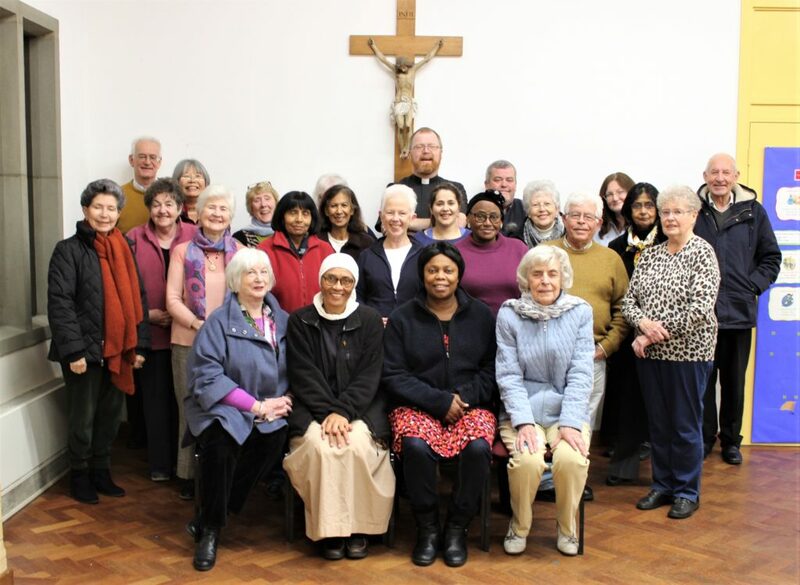 Sr. Mary Joachim, who had been a sister in the congregation of Mother Teresa, runs The Mission of Hope in Ethiopia and was back in her home town of Watford whilst on a sabbatical in the UK. Sr Joachim gave a most absorbing and engaging talk on her missionary work and the difficulties and dangers she faces in the area she covers. Sr Joachim was born in Watford in 1959 and her mother Helen was a member of the Serra club in the 80’s. She was baptised at Holy Rood RC Church and attended Holy Rood RC Primary School followed by St Michael’s Catholic High School. During her teens in Our Lady & St Michaels parish, she participated in many parish activities and became a member of the Legion of Mary, visiting patients in Leavesden Hospital. The parish priest at the time, Fr Gerard Mulvaney, played a very important figure in the development of her vocation and in 1980 she joined the Missionaries of Charity – later the Congregation of Mother Theresa. Her vocation saw her spend some 19 years in Eastern Europe and whilst in Poland was appointed Provincial Superior. Having spent six years in this appointment, she felt the need to return to carry out God’s work amongst those in need and she carried out her mission in India and the Philippines where she looked after psychiatric patients living on the streets. With her ever desire to help those most in need, she felt God was asking her “to serve those no one serves, in places to which to which no one wishes to go”. The September Serra Club meeting is on 9th October 2018 with Mass starting at 7.30pm and followed by a light supper and a short talk from Fr Anthony Dampson. Please do let us know if you will be attending. The September Serra Club meeting is on 11th September 2018 with Mass starting at 7.30pm and followed by a light supper and a short talk from Fr John Warnaby. Just to remind you, that there is NO MEETING in August due to the summer holidays. The next meeting will be on 11th September 2018. The May Serra Club meeting is on 8th May 2018 with Mass starting at 7.30pm and followed by a light supper and a short talk from Fr Patrick Allsop. This year’s national conference will be in Liverpool, from 31st August to 2nd September 2018. Our keynote speaker, Sr Moira Meeghan, will be speaking on “The call of the Gospel, standing on the shoulders of those who have gone before us”, “The awareness of vocations” and “The journey of prayer into the future”. Sister Moira is a sister of St Mary of Namur, Head teacher of Faith Primary school and outreach worker of the Irenaeus Project, Liverpool. The March Serra Club meeting is on 13th March 2018 with Mass starting at 7.30pm and followed by a light supper and a short talk from Fr Anthony Dampson. This year’s International Convention is to be held in Nashville from 27th June – 1st July. Further information can be found on the Serra International website here. Due to the bad weather, tomorrow’s meeting is cancelled (12th December).